Register today and be sure to stop by booth 101 to learn more about the innovative PropX Technology! Register today and be sure to stop by booth 842 to learn more about the innovative PropX Technology! Automation of the “last mile” and the “last 100 meters”. Proppant Panel: Hit The Road, Jack Don't miss PropX's CEO, Kevin Fisher, speak at the DUG Permian Basin 2018! Winners will be annouced Wednesday, March 7, 2018 so mark your calendars to find out first who won! Winners will be announced Thursday, March 1, 2018 so mark your calendars to find out first who won! Visit our booth to learn more about how the impact PropX has on the last mile. at the SPE Hydraulic Fracturing Technology Conference and Exhibition January 23rd-25th 2018. PropX will be attending the 2017 SPE ATCE in San Antonio and we want to meet YOU! Please stop by Booth #559 (Go left from the registration entrance!) to meet our team and learn why PropX is the best solution for your business. Join Kevin Fisher and Matt Oehler who will be leading the Last Mile Roundtable Discussion during the 6th Annual Frac Sand Supply & Logistics conference next week on September 28thAnd don't forget to visit us at booth #2 where we will be showing the new PropX Scale Model! 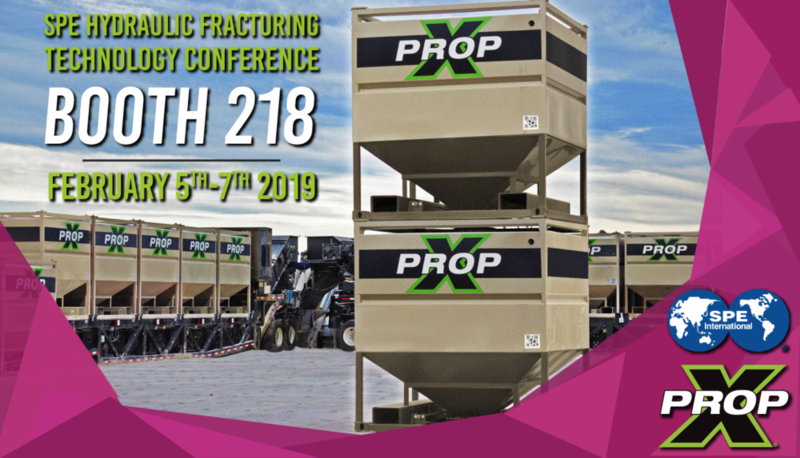 PropX will be attending the 6th Annual Frac Sand Supply & Logistics Conference in Houston Texas and we want to meet YOU! Please stop by Booth #2 located near the main entrance to meet our team and learn why PropX is the best solution for your business. Come see us at the 5th Frac Sand Conference in Denver! Kevin Fisher, PropX's CEO will be speaking at the 5th Frac Sand conference in Denver Wednesday September 13th 2017. He will be speaking on the Last-Mile Solutions Panel. PropX will also have a booth at the conference so be sure to stop by and pick up some flyers!